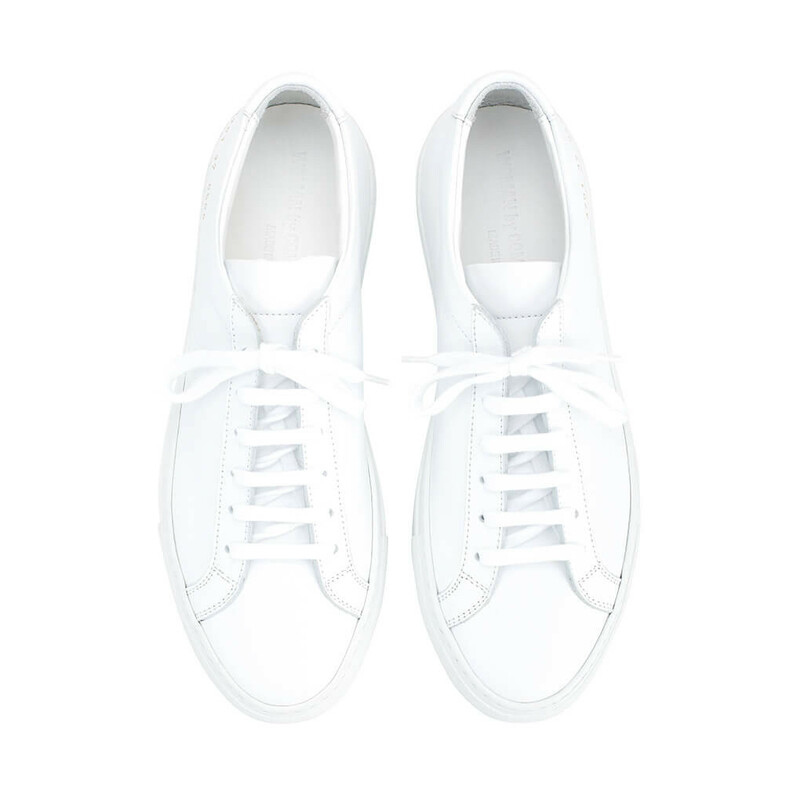 New York-based Common Projects is collaboration between designers Flavio Girolami and Prathan Poopat. The brand combines utilitarian design with high-quality Italian craftsmanship, resulting in a sleek, clean, understated aesthetic. Achilles low is the brand's key design from where everything started. By now this particular style has gained a cult status thanks to their minimalist design and superior construction. There's so many reasons to love it. Firstly, the upper as well as lining of the sneakers are made of high-quality Italian Napa leathe. Read more.. There's so many reasons to love it. Firstly, the upper as well as lining of the sneakers are made of high-quality Italian Napa leather, which is the supple, soft-but-sturdy kind of cow skin that is more commonly used in pricey couches or four-figure leather jackets than for a pair of sneakers. This sort of leather has a natural elasticity that makes breaking them in easier and quicker than any dress shoe, yet the leather is very durable and long-lasting, meaning you don’t have to give up on them after the first scuff. Secondly, Achilles low is extremely versatile in its classic and timeless appeal. With a sleek silhouette, narrow toe box and hand-stitched smooth rubber Margom cup-sole, it looks like a high-priced sports car. Their enduring design will work with everything from skirts to jeans. 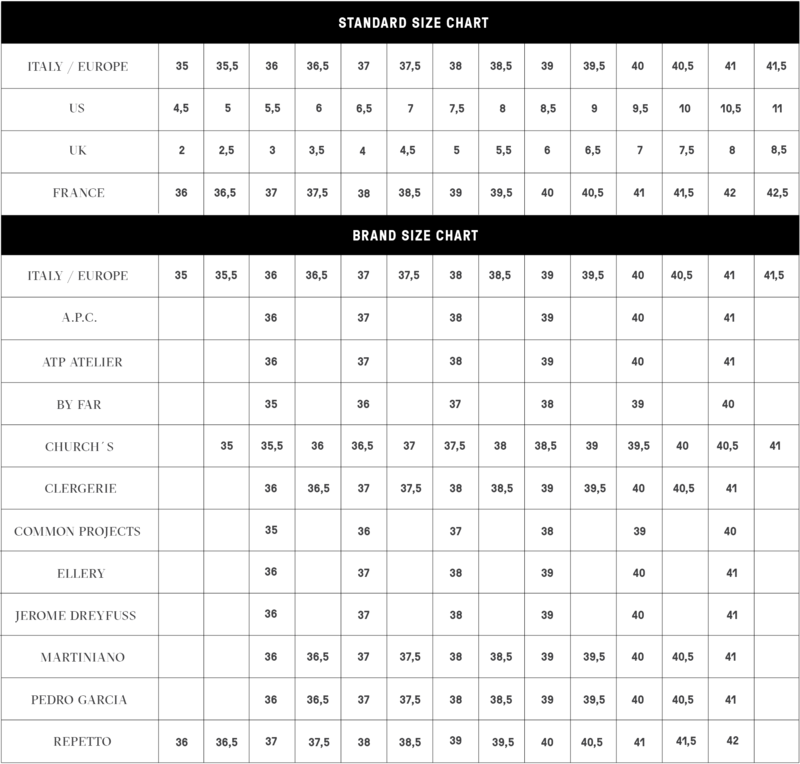 Thirdly, all Common Projects sneakers are constructed in Italy in Marche region, which is known for its luxury shoe manufacturing. You can be sure these sneakers aren’t going to start falling apart because you’re getting actual shoemaking, not just an assembly-line glue-and-press job. Lastly, the sneakers are logo-free and crispy clean. All you’ll see is the Common Projects’ signature branded gold numbers on the side of the heel (indicating the model number, size, and colour). The clean lines, amazing quality and minimal branding exemplify everything the brand stands for - love for great design but no need to show off. 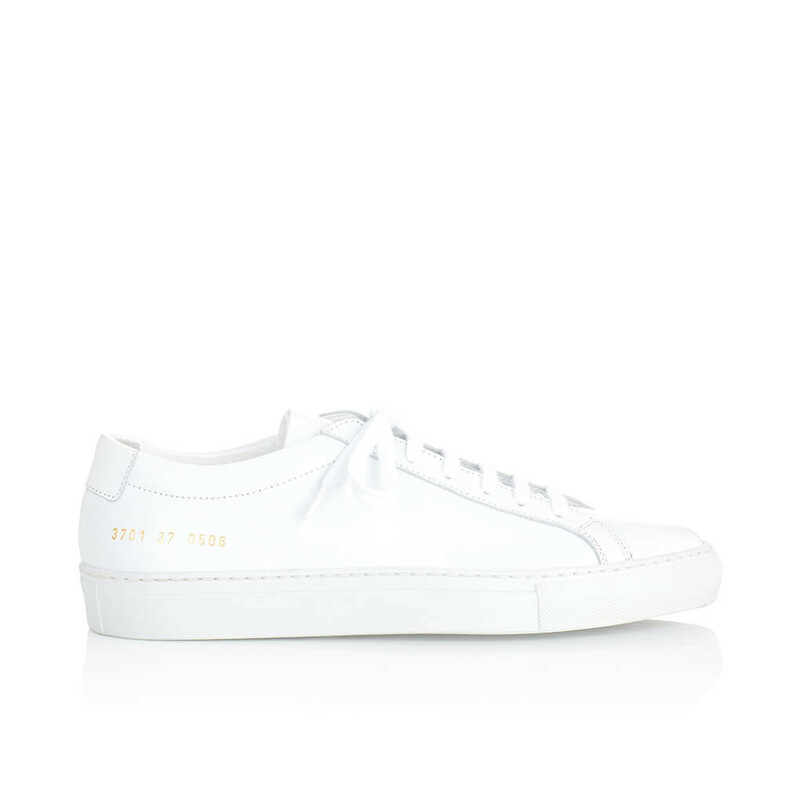 1 x Achilles Low White was added to your shopping bag. 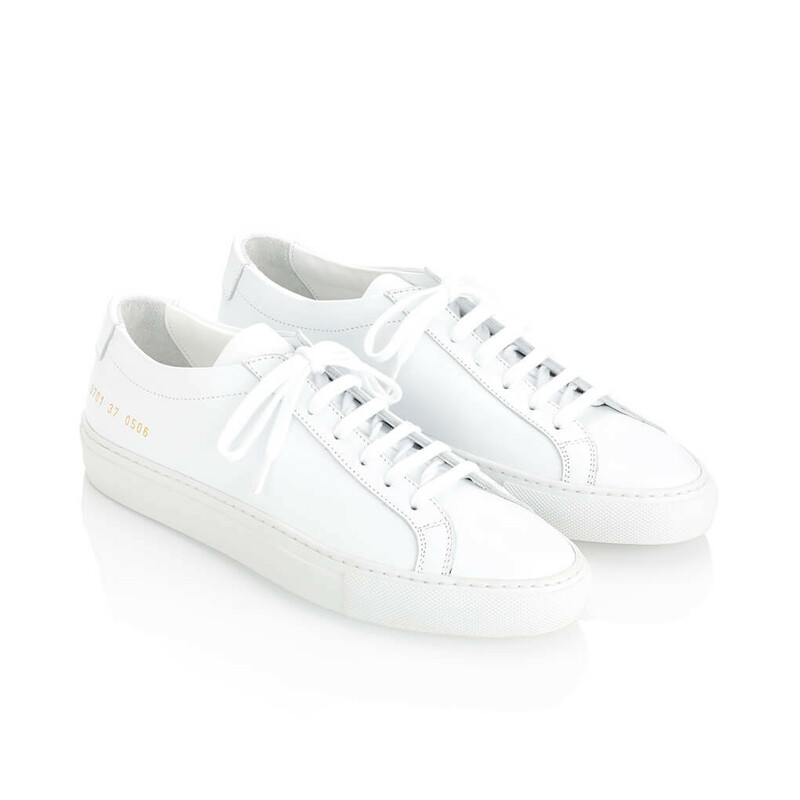 1 x Achilles Low White was added to your wishlist.